Tony O'Meally aka Jah Batta is the Bullwackies acolyte featured recently with Rhythm & Sound on the Burial Mix single Music Hit You. On this album from 1983 his buoyant deejaying follows Lone Ranger's massive revival of U-Roy's legacy. Upful dancehall vibes address topics such as vegetarianism, skin colour, school, good old-fashioned rocking the mic. 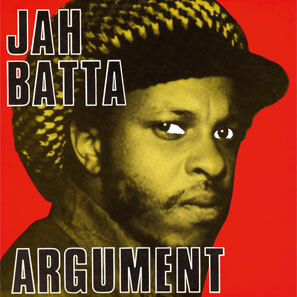 One toast laments Batta's girlfriend running off with Sugar Minott. 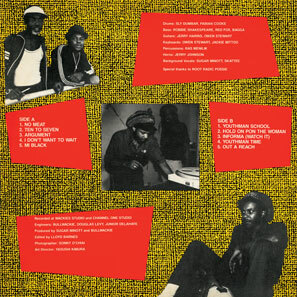 And the album is a must even for its rhythms alone: basically top-notch Youth Promotion material from Channel One in JA, overdubbed and remixed at White Plains Road in the Bronx, with contributions from Sly & Robbie, and Bagga and Jackie Mittoo from Brentford Road, alongside Wackies regulars. Version excursions include Sugar originals like Informer and Jezzreel's Stop Playing Tricks, Bob Marley's Too Much Trouble, and deadly do-overs of Studio One cornerstones like Throw Me Corn and Real Rock. Do it, Jah! Flash it!